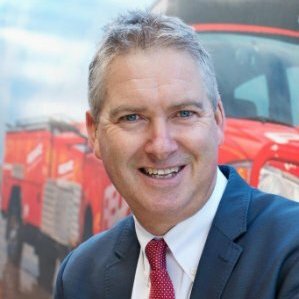 The Port Lincoln Chamber of Commerce and Tourism committee is pleased to announce that our special guest speaker for this years Beyond Bank Business Excellence Awards will be Anthony Kittel, owner and Managing Director of Redarc. Redarc was recognised as the Telstra Business of the Year in 2014. Two decades after buying a struggling electronics company, Anthony Kittel now runs one of the country’s most innovative manufacturing plants. But for him, the journey has just begun. Anthony Kittel, managing director of Redarc Electronics, is a man who likes to hit the ground running. Anthony and his wife Michele bought Redarc in 1997. They raised funds by mortgaging their house, selling the family car and borrowing $100,000 from Michele’s family. The company had one line of products, eight staff and falling revenue. Today, Redarc employs 100 people, has an annual turnover of more than $25 million and exports to eight countries. Its product range includes portable solar units, battery systems, converters, gauges, equalisers and specialist electronic safety equipment for the trucking industry. We look forward to hosting Anthony at the Business Excellence Awards dinner and listening to his story.